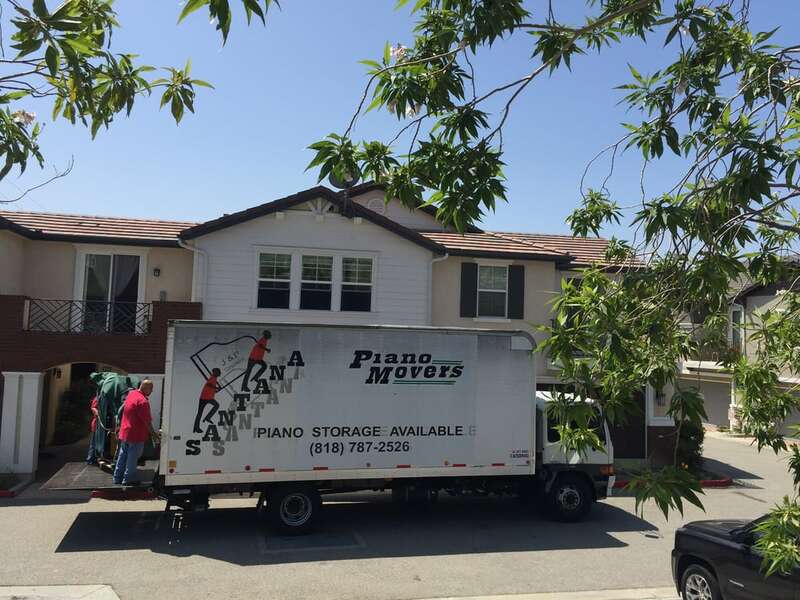 Piano moving, storage, and crating in Southern California with monthly service up through the San Francisco Bay Area. 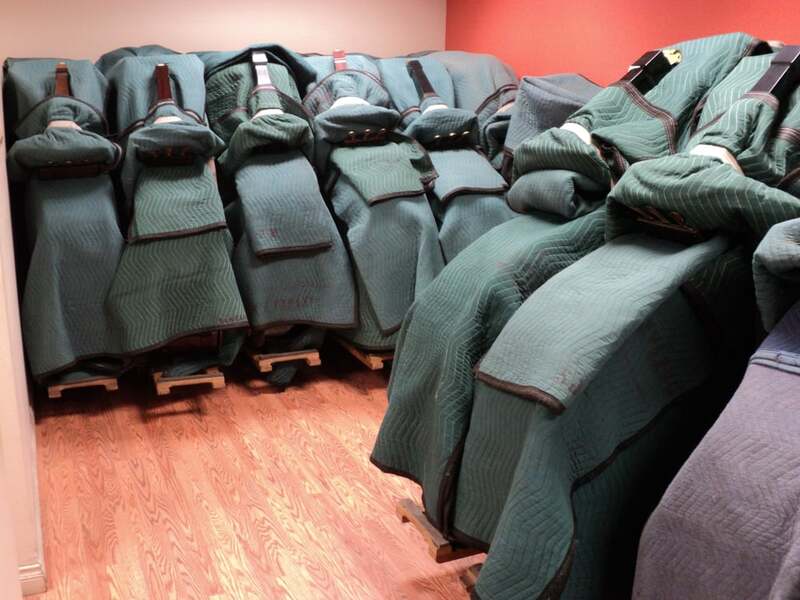 Use own hand-crafted, custom built equipment and offer storage in temperature-controlled piano storage facility. Established in 1993. «Good morning!» (Santana's anachronistic greeting 24-hours a day): We are a family-owned and -operated business of two generations. Ours was a humble beginning, starting out in a residential office space and operating a single truck. Since then there has been steady growth, leading to a proper office space, complete with warehouse to allow for piano storage. 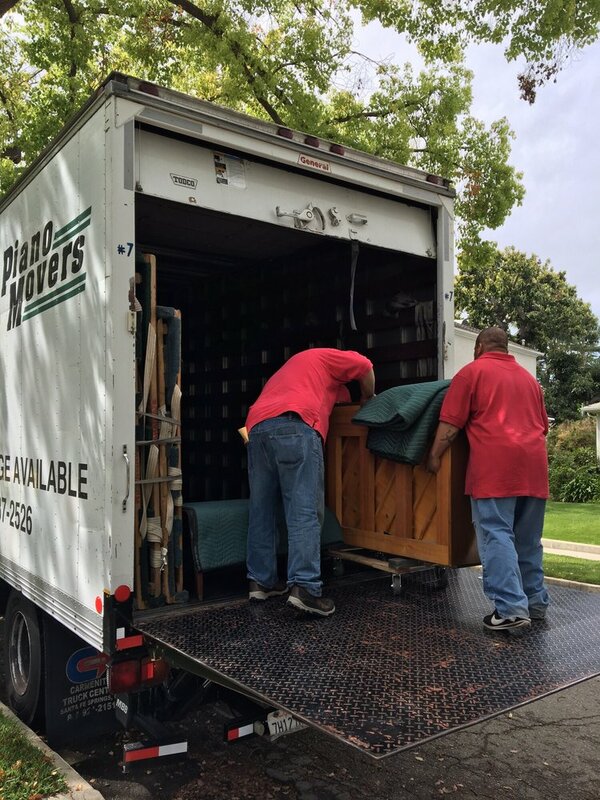 Drawing on our founder's 30 plus years of experience, our highly skilled movers have the knowledge necessary to handle piano moves of varying degrees of difficulty. Located in the center of LA County, we conveniently serve all Southern California destinations with shuttle trips up through the Bay area twice a month. I stored my Yamaha G2 grand piano with Santana Piano Movers for almost two years. I'd temporarily moved to a place that really didn't accommodate a piano, and I didn't feel comfortable keeping it in the storage unit with the rest of my furniture. I visited the Santana piano warehouse before scheduling, and I was satisfied with how clean and orderly it was. It was temperature controlled as advertised and every piano seemed to have its own designated space. They gave me the option of having my piano stored on its side or on its legs (for an additional fee). I kept it on its side since they assured me that this is how pianos are typically stored and that there would be no damage. When I asked for proof of insurance, they provided it, and this gave me even more peace of mind. I eventually moved the piano to my folks place in San Jose. 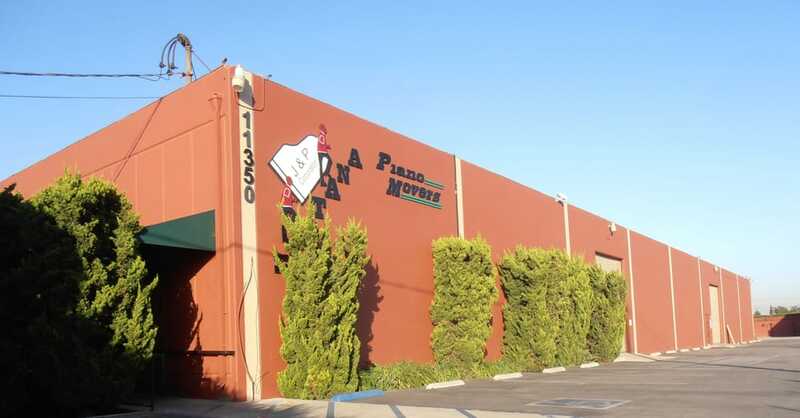 I thought I'd have to hire another piano moving company to deliver, but I was delighted to learn Santana Piano Movers makes deliveries from L.A. to the Bay Area. They weren't the cheapest quote I received, but they made the scheduling process easy and efficient. I trusted they'd do as good a job with the delivery as they did with the pick up. And they did! 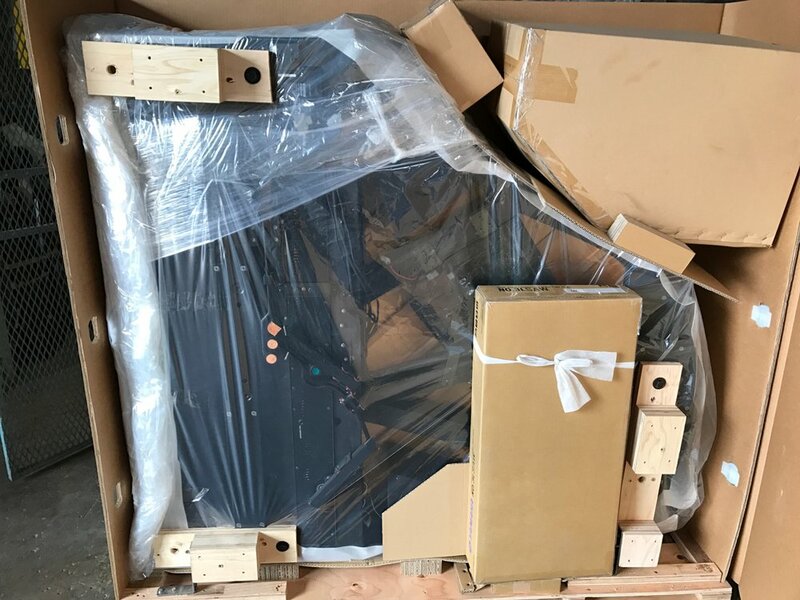 When my piano arrived, the movers gave me a report of the piano's condition and I compared it with the copy I'd received when the piano was picked up. The piano needed tuning, of course, but after two years, my piano looked the same! I couldn't have been happier with the care Santana Piano Movers took of my piano. And I can't recommend them enough. Santana Piano Movers gets my highest praise! Their pricing was very reasonable. They stayed in touch during the whole move and were responsive and easy to reach by phone. Their movers were polite, professional and made the entire process a piece of cake! These folks are THE BEST! This is a review for just phone call, not for their mover service. I was attracted to their high yelp rating. The lady called me back gave me a outrageous quote, ~$900 to move a baby grand piano (within same city, 30 min driving distance) with $10/steps and will charge extra if the mover needs to turn and/or if the piano is greater than 6". I called several other company and at nowhere is the cost come close to this company. When stated, the lady was rudenot willing to ask the owner and pretty much stated "take it or leave it," well that's fine. You won't get my business. Oh and FYI, lady said moving date is on their schedule, not mine, which wasn't a big deal for me, but it may be for some of you.Callers beware! First of all, Rita at Santa Piano Movers is AWESOME!!! She answered all my questions when I called up for a quote and kept me updated throughout the day of the move. Javier and his crew were punctual and moved our piano efficiently and quickly. No problems no hassles! Would definitely recommend them to anyone considering moving a piano. Their service speaks for itself!